First new feature of 2019! 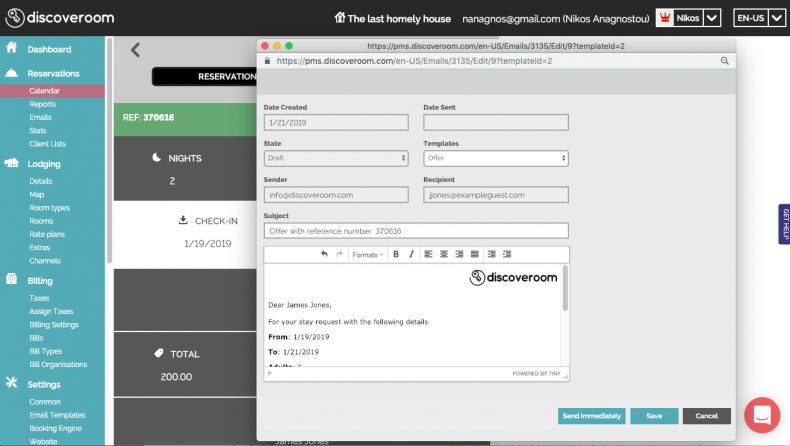 We have improved the guest emailing functionality with a customisable and more sophisticated solution. 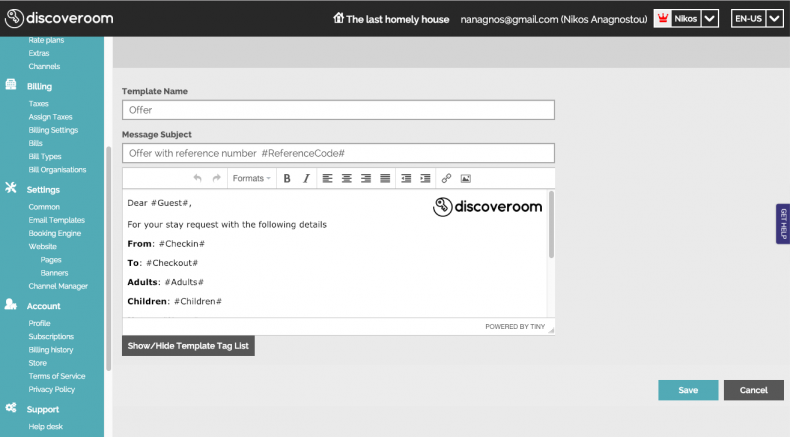 Now, you can define email templates that incorporate reservation information with the use of special tags. You can use different templates for different languages or combine various languages in one. 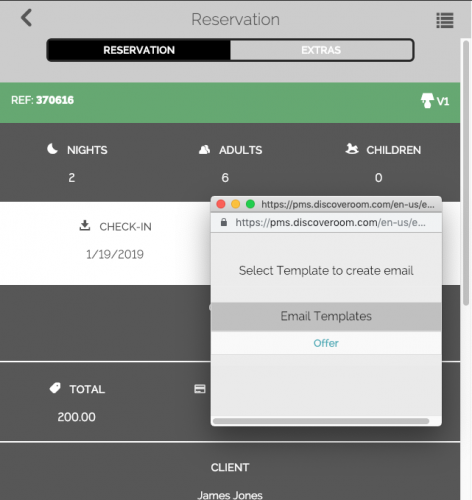 This way, you can create templates for offers, vouchers or welcome emails with special directions. 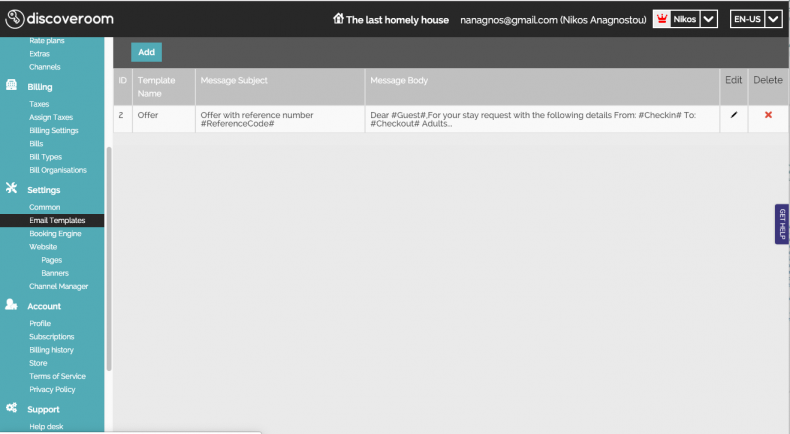 The templates then become available for you to use when you want to send an email to a guest. 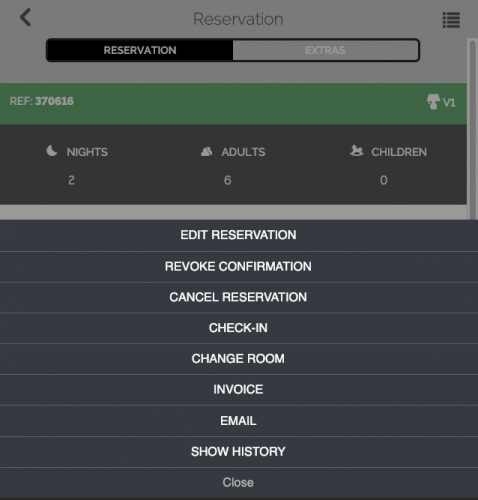 A new menu item has been added to the reservation menu, that allows you to send an email related to this particular reservation. You can further edit the email text, if you wish, or you can keep the text generated from the template. You can opt to just create the email and send it a later time (use the Save Button), or send it immediately. All emails sent are archived and you can query them, view them or even delete them if you wish. The emails are send from the Discoveroom email server and address. 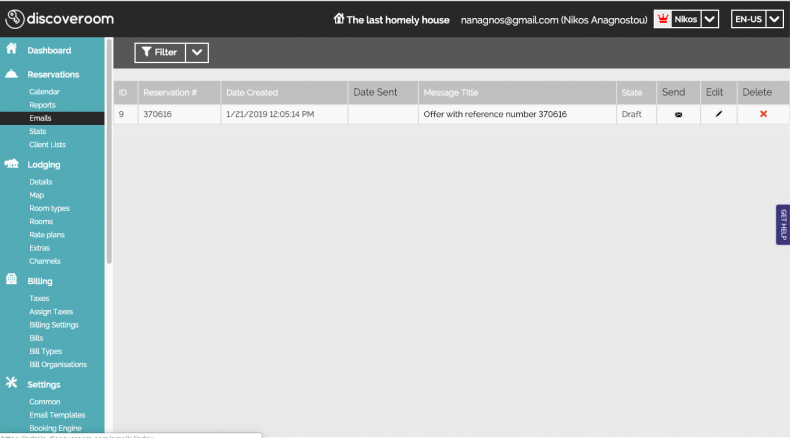 At a later stage we will allow you to send emails from your email servers. The reason we haven’t done it from the beginning is because this requires a rather very technical change on your domain name setup, which, based on our experience, is prohibitive for most common users. All the above are available in the web app and for all subscription plans.